The family rightly feels that the constant invasion by the paparazzi is a violation of Taimur’s right to a normal childhood. Saif Ali Khan has quickly denied any hand in this, arguing that one of the neighbours may have complained. 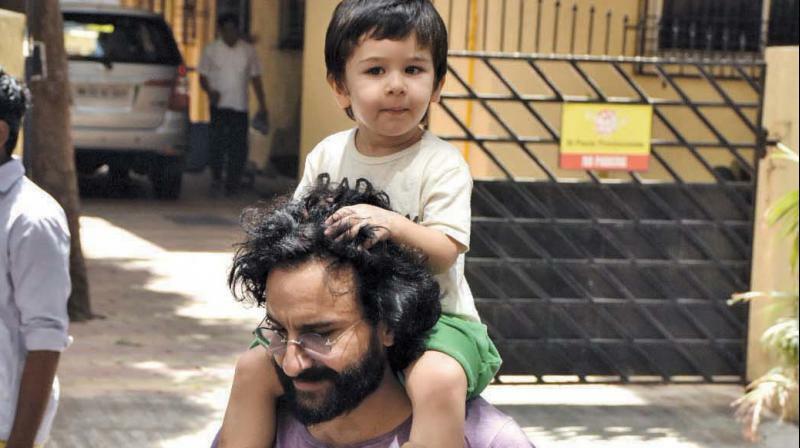 Mumbai: Has Saif Ali Khan finally taken a firm stand on the issue of his little son Taimur’s over-exposure in the public domain? Earlier this week, the paparazzi who religiously stand below Saif and Kareena Kapoor Khan’s residence to click their son Taimur when he comes out, were asked to disperse by the cops from their favourite spot near the Khans’ residence. Saif has quickly denied any hand in this, arguing that one of the neighbours may have complained. This seems unlikely as no neighbour was affected by photographers gathering silently to take pictures. It is more probable that Saif did complain against the constant invasion by the paparazzi, which his entire family rightly feels to be a violation of little Taimur’s right to a normal childhood. One hopes that the paparazzi would finally maintain a respectable distance from the child and let him enjoy the things children his age are supposed to enjoy without monitoring every move of his.